If a country, Baltimore’s infant mortality would rank in the company of Belize and Moldova. Above: An apt question for a conference in Baltimore: Why does zip code correlate with life expectancy? Above, houses near Hollins Market. This question raised by Dr. Anthony Iton, senior vice president of Healthy Communities, was at the heart of a symposium on the social determinants of health held at Johns Hopkins University yesterday. Although the conference focused on understanding and eliminating health inequity across the United States, the host city of Baltimore served as a potent case-in-point. 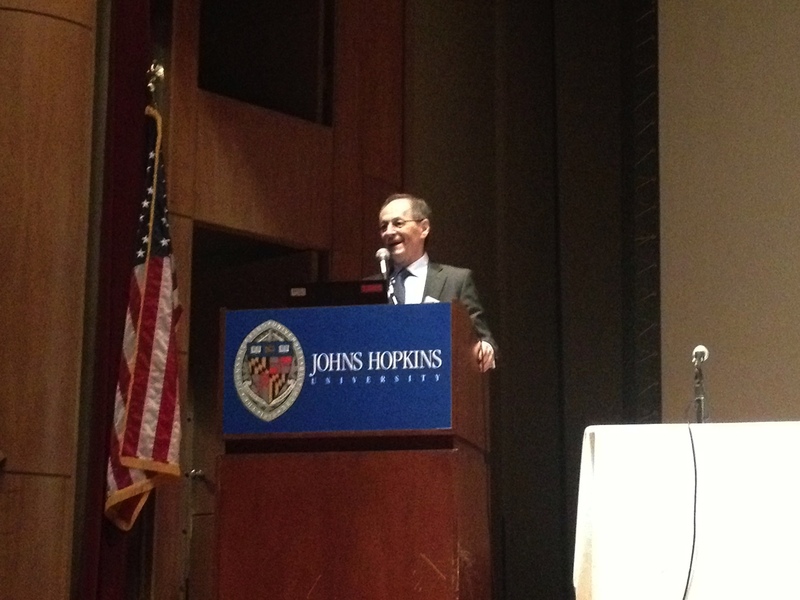 “Only six miles separate the Baltimore neighborhoods of Roland Park and Hollins Market, but there is a 20-year difference in the average life expectancy,” said interim Hopkins provost Jonathan Bagger, whose office hosted the day-long event along with the Urban Health Institute. Baltimore may be home to world-respected leaders in health care and medicine, Bagger noted, but if it were a country, Baltimore would rank 76th in infant mortality. That would place Baltimore in the company of Moldova and Belize. 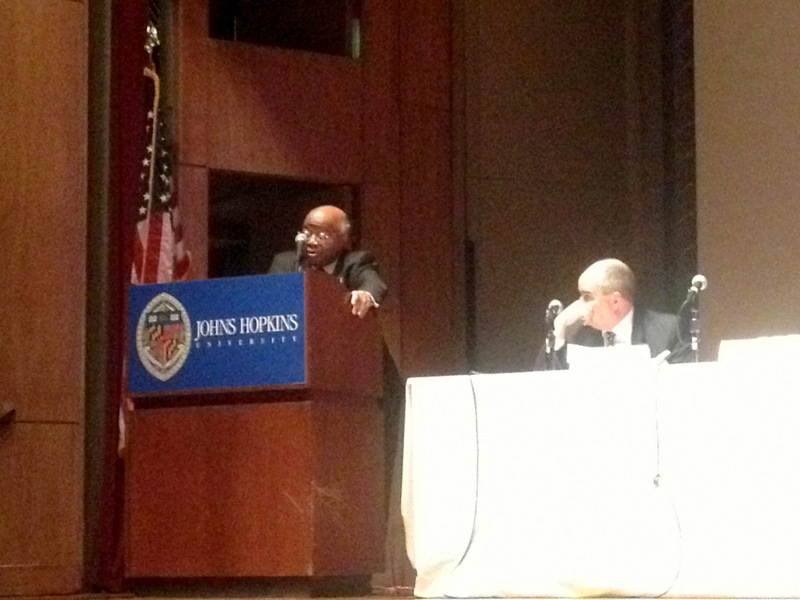 In introducing the panel discussions and research presentations by experts from Hopkins and elsewhere on education, race, economics and other issues, Bagger promised a meeting with a broad scope and ambitious aims. Perhaps the most extreme case of urban health disparity mentioned during Tuesday’s symposium came out of Cleveland. The neighborhoods of Hough and Lyndhurst, separated by mere blocks, had average life expectancies of 64 and 88 years respectively, Iton said. He tried to convey the severity of the disparity – a 24-year gap in average life expectancy that could be covered on foot. Health disparities at the neighborhood level are complex, but evidence about the negative effects of alcohol outlets versus the effects of health promoting outlets like parks and supermarkets is robust, said Baltimore’s Commissioner of Health Oxiris Barbot, referring to the city’s recent controversial initiative to shut down some liquor stores and lounges via zoning. Issues of race, past and present, continue to shape the health equality gap, several speakers said. Jonathan Ellen, a sexually transmitted infection expert at Johns Hopkins, explained how the scars of segregation are still visible in the data today. With an eye towards the future, Baltimore native Dayvon Love, director of research and public policy for Baltimore-based Leaders of a Beautiful Struggle, called for more “race literacy” in the public discourse about inequity in the United States. Iton spoke of how researchers in the San Francisco Bay area plotted the cost of living in a poor neighborhood, measured in premature death. “You can actually monetize the slope of that line and tell people that every additional $12,500 in household income buys you a year of life,” he said. With this correlation between wealth and health, income can truly be viewed as a matter of life and death. 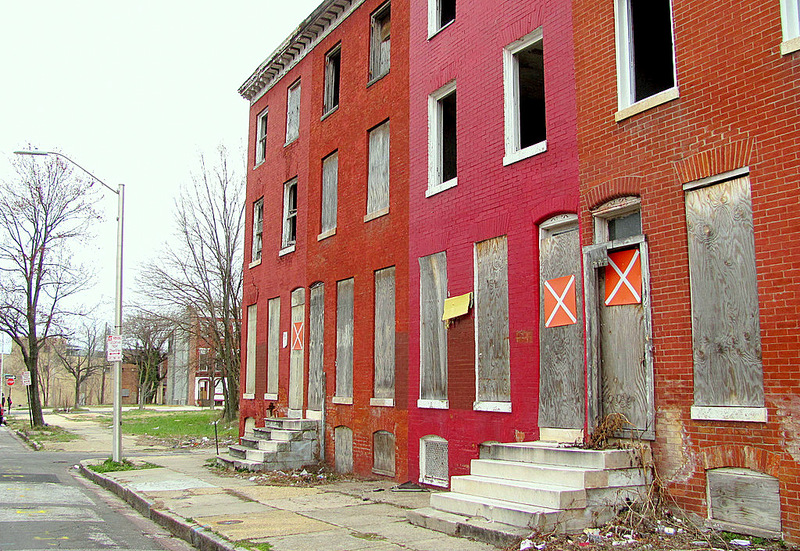 Taking that link between economics and health disparity a step further, Lester Spence, a professor of Political Science and Africana Studies at Johns Hopkins, said that cities like Baltimore could be doing much more about it. “Baltimore’s health department budget is approximately $150 million,” Spence said. In a harrowing anecdote that gave the discussion of health disparity a human face and its causes a simple explanation, Adawale Troutman told the story of a 55-year-old patient from the greater New York area. Once an emergency room physician, but now president of the American Public Health Association, Troutman recalled that the patient came to the ER with lumps under her skin and died six months later of an advanced fungating cervical carcinoma. She lived in a neighborhood that even the postal carriers dared not frequent, and where the clinic she attended was three bus rides away. Social progress has not been able to keep pace with scientific advancements in medicine. “We have a practice to prevent death, we call it emergency rooms,” Dr. Iton said. Education, communication, and policy change were at the forefront of suggested solutions to the problem of health inequality. Attendees from different specialties were given the opportunity to collaborate during afternoon work sessions, and Hopkins students presented research addressing the social determinants of health in Baltimore during the Action for Equity Poster Session at the conclusion of the symposium. To close the symposium, Iton stressed the importance of spreading the message of the social aspects of health in the United States. Family and friends recall Baltimore-born “Dona” as a devoted mother, fierce advocate for women and children and a lover of all things Italian. MedMark says clinic has outgrown space at University of Maryland’s Midtown campus. Critics cite proximity to residential streets and Arena Players’ building.